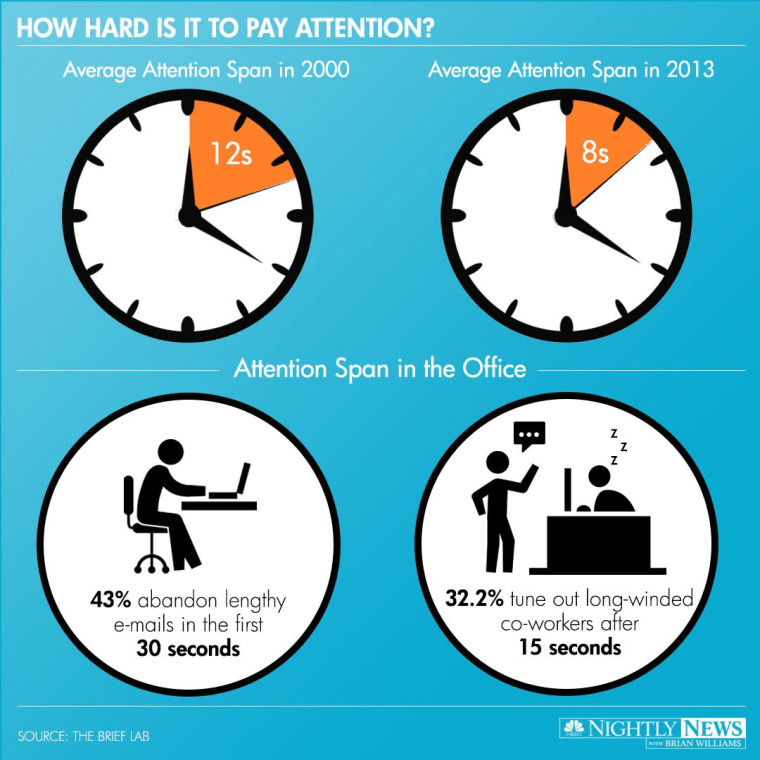 A new book says our attention spans are shrinking, and it’s not hard to imagine why. In today’s fast-paced world of information overload, we’re constantly flooded with emails, text messages and meetings. According to Joseph McCormack, author of “BRIEF: Making a Bigger Impact by Saying Less,” the average professional receives 304 emails every week, checks her smartphone 150 times per a day and spends 28 hours each week reading and responding to emails. “People’s brains are taxed,” says McCormack, because “too many things are competing for our attention.” And if you can’t get to the point quickly, you risk being dismissed or ignored. Long story short - if you want to be successful, keep it brief.